BUENAS GAFAS DE TIRO, CALIDAD PRECIO LO MEJOR, CON DIFERENTES CRISTALES. Now I realize this not t a top end model. However, I expected more. I was happy when it showed up and it seemed like a real value. Now I would still believe that if the lenses did not scratch so easy. Just barely touches the rocks at the range and bam big scratch. All my lenses now hav a scratch or two. I expected more quality from double alpha. Very good buy, i used the inner glassholder for my glasses. 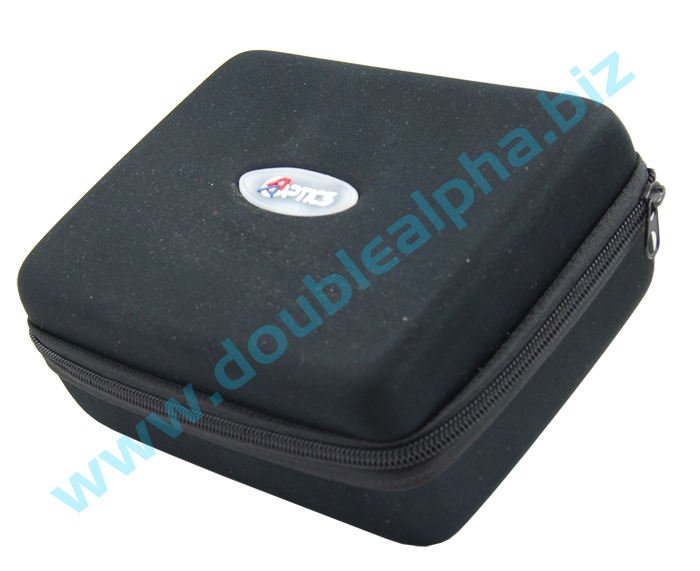 They fit very well, the case is also very sturdy and high quality. These are great value glasses. Great quality lenses in all the tints you need. The inserts for lens also work a treat. One downside is that they aren't great for use with over ear defenders for long periods as the profile of the legs cuts into the temples. Nice optics . for its price you get a very quality product. Very good optics, easy to change lenses (and the insert of course) and cheap! Binnen 3 dagen na ontvangst glazen op sterkte laten monteren. Goede bril voor iemand die dat nodig heeft en makkelijk te verwisselen lenzen. Wel voorzichtig, frame is best flexibel zonder glas erin. i was disapointed! i should buy a more expensive model..
Our Model Lima is an inexpensive, yet complete set of 4-lens IPSC shooting glasses. 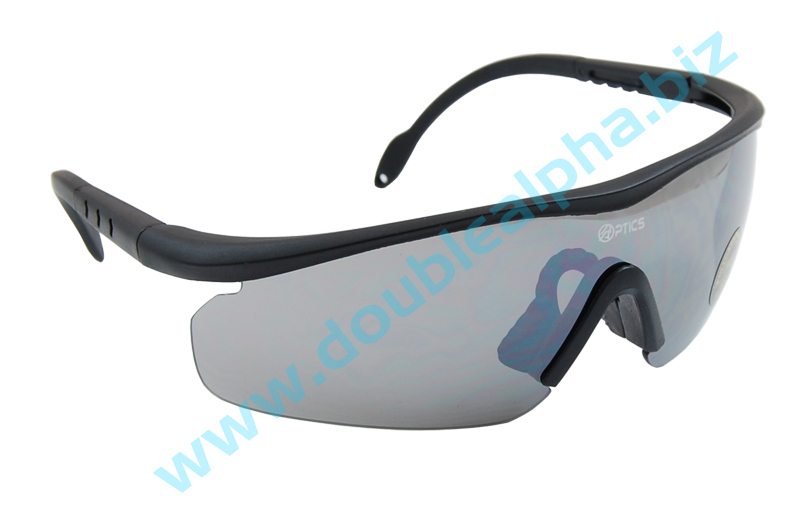 The glasses are ANSI Z-87.1 Impact approved, and the Polycarbonate lens offers 100% UV400 protection. The Model Lima has a wide wraparound style lens, with a flexible lightweight polymer, fiber-reinforced frame and adjustable-length side-arms. 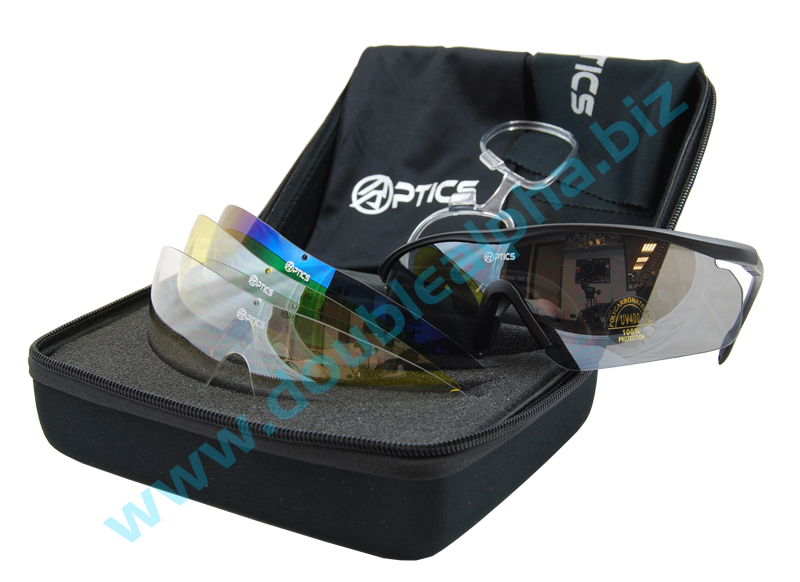 The Set is packed in a handy hard case, which provides protection and support for all the individual lenses and accessories. The nosepiece detaches from the lens and can be transferred quickly and easily from one lens to another as you change colors. One frame (Tactical Matte Black). 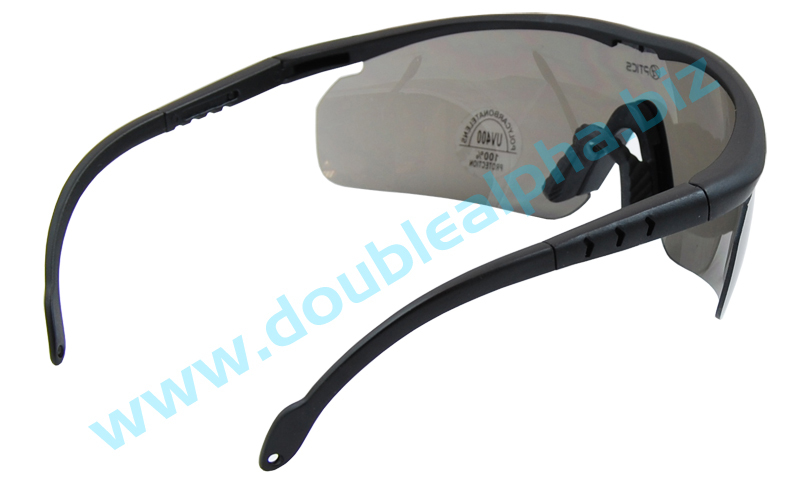 An optical insert inner frame which clicks on the nosepiece behind the interchangeable lenses. Clear, offering 92% light transmission. Yellow, offering 87% light transmission and enhanced contrast and depth. Smoke, offering 30% light transmission, ideal for moderately sunny days. Light Blue Mirror, 35% light transmission, a striking look for those bright days on the range.